Dependable Bagging Company (DBC) was founded in 1985 in New Orleans, Louisiana to provide powder-processing services to various industries. That same year, DBC acquired the license to manufacture and sell the C-Cure brand of mortars, grouts, and surface preparation products. C-Cure products are used throughout the residential, commercial, and industrial flooring industries. Included with these products are patching and leveling materials, tile mortars and grouts, waterproofing products, anti-fracture membranes, adhesives, caulks, stains, and a host of others. Through expansion and acquisition, DBC now owns the manufacturing rights for C-Cure products in a large portion of the southeastern United States, and sells those products throughout the south central, southeastern, mid-Atlantic, and portions of the northeastern United States. 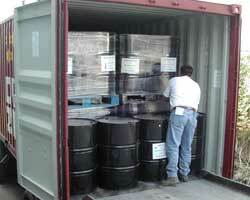 Since its inception, DBC has offered bagging services to various chemical companies, and has since expanded to offer other services including bulk powder transfer, screening, blending, bagging, re-bagging, bulk bag filling, warehousing, truck loading and unloading, containerization, and related administrative support. DBC’s New Orleans facility is located within a few miles of the Port of New Orleans. The plant is minutes away from several major highways. 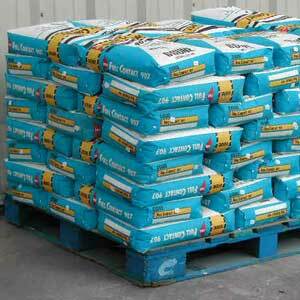 Today, one of the major aspects of DBC’s business is private labeling or contract manufacturing of cement-based products for use in various construction trades. DBC has also expanded into liquids blending and packaging for those industries. DBC will produce to a customer’s formulations, or it will provide a product to the customer under the customer’s brand name using a DBC formulation. DBC's customer list includes several tile and flooring distributors; chemical, industrial grout, engineering and cement companies; oil field products companies, and several others.